I'm not sure if this is the right place to post this but hopefully somebody can help me. Whenever I get to the step "Pair Your Left Touch", the headset stops working. My monitor flashes black, lights on the sensors turn off, and the light in the headset goes from white to yellow. 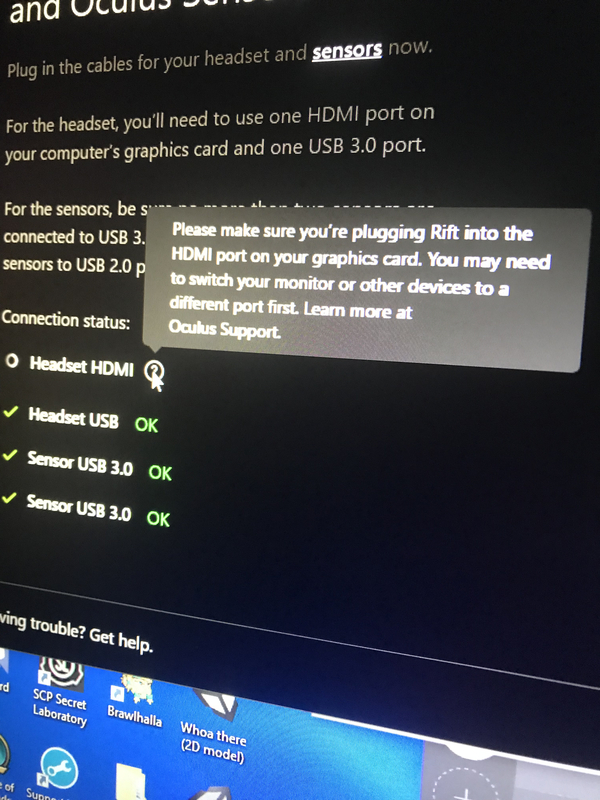 When I go back to the step "Connect Your Rift Headset and Oculus Sensors", the Headset HDMI is no longer connect and has a warning that says "Please Make sure you're plugging the Rift into the HDMI port on your graphics card". 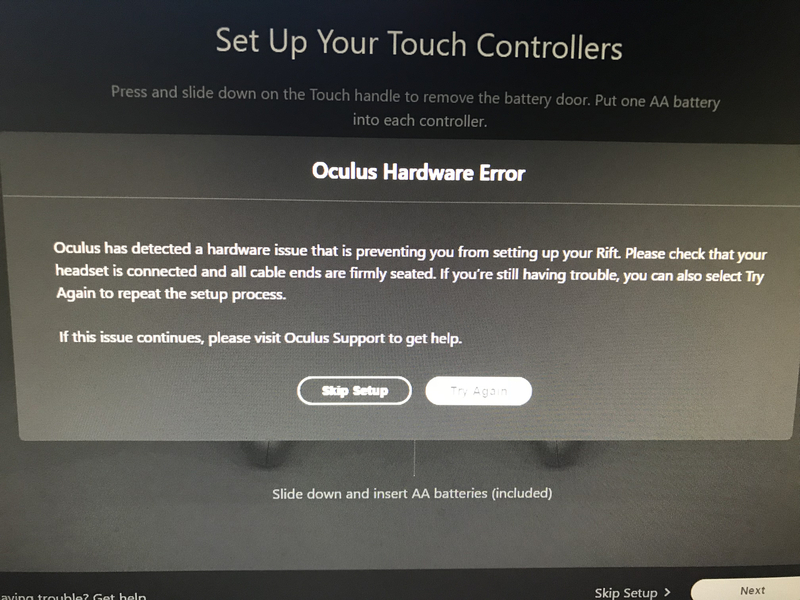 It soon reconnects and when I go back to connect my Left Touch, the problem happens all over again.When I exit and open up Oculus, it says that there was an "Oculus Hardware Error" and to check my cables and headset are firmly seated. I've tried restarting my computer and doing the process all over again but it hasn't worked either. I'm posting this here just in case if someone can help me and if further possible solutions don't work. I will post further attempts as I look for a solution. I have yet to see somebody with the exact same problem and I'm not sure why it happens when I reach that page. 5. Checked the batteries in the controllers. None have worked so far but I will post more attempts later on. I have the exact same problem... Did you find a solution?